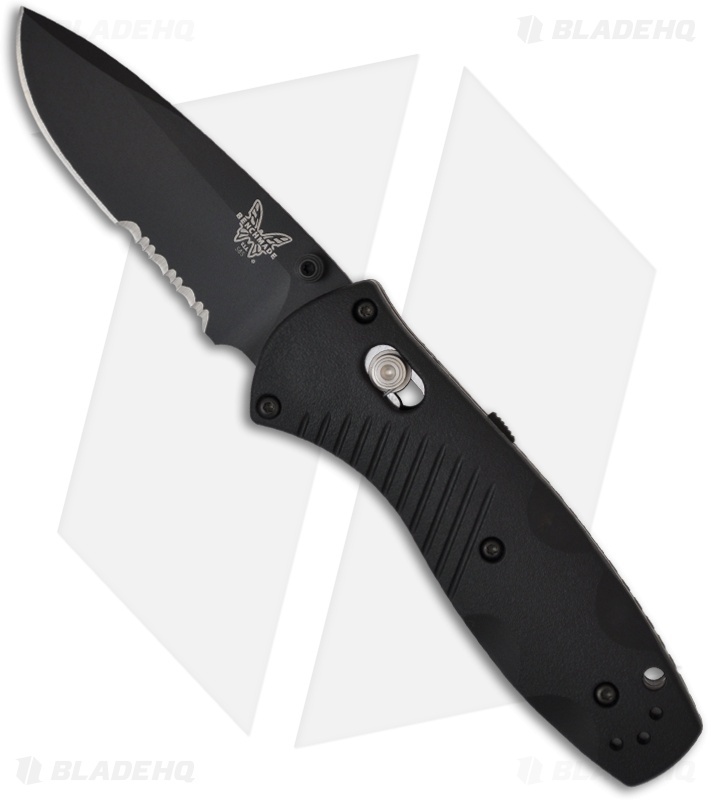 The Benchmade 585SBK serrated black Mini Barrage combines speed and strength in one complete package! The 585 series is comfortable, quick and a hard deal to beat. 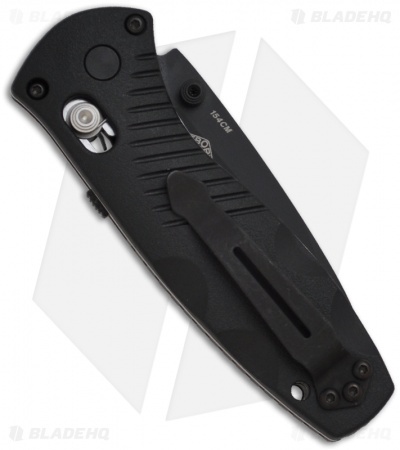 The knife has a safety on the back and a reversible pocket clip for easy carry. I did not purchase this knife from Blade hq just for the simple reason of not knowing about the sight and also because I fell in love with the special edition only sold at Cabelas. Other than that, this is a well built edc knife.